The focus of worship and praise is always Yahweh Father God in both the Old Testament and New Testament. 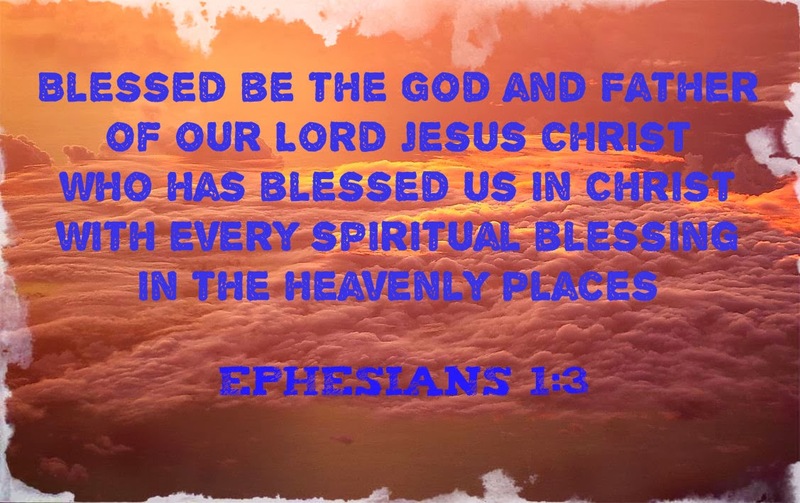 Here, it is Yahweh Father who is blessed and in turn, Yahweh God blesses us with all spiritual blessings in Christ Jesus. The subject is Yahweh God. 1. Yahweh is "God" and Father. 2. Jesus Christ is "Lord". In the past, when I read the New Testament, I often intermixed the terms "God" and "Lord". Whenever I read, "Lord", I thought "Lord" is "God", and that "God" is "Lord". We need to distinguish these terms "God" and "Lord". Do not intermix them to avoid confusion. 1. Jesus was not born with this title "Lord". 2. Jesus was given the title "Lord" by Yahweh God. Jesus fulfilled God's mission to be the Messiah, and that's why Yahweh God raised him up to become "Lord" (Philippians 2:9-11), to sit on His right hand in the heavenly places (Ephesians 1:20). One God, the Father and one Lord, Jesus Christ. In 1 Cor 8:6, it says: "there is but "one God", the Father, from whom all things came and for whom we live; and there is but "one Lord", Jesus Christ, through whom all things came and through whom we live." We worship and bless the one Yahweh God.